We are an England based company and we supply used Agricultural and Construction Machinery. The price for the Same Dorado 390 is 5800 EURO + 500 EURO transport fees. We deliver the machine using our trucks and trailers, that's why we offer the lowest transportation quote. The delivery time will be between 10-15 days ( depending on your location ). The machine was recently inspected by our technical department and it's guaranteed in perfect working order. We offer 12 month warranty for the machine so in case you are not satisfied with it by any reason, you can return it against a full refund, and you will not be responsible for any transportation cost in this case. Please let us know if you do want it, so we can start making arrangements . Please contacta moferatorstor if you have a question or information about this post. Please do not tell the scammer he is posted here. The website is in the process of being reported for fraud. We want to inform you that for payment we accept only Bank Transfer, we don't deliver until payment is confirmed. This is how we work and how we satisfied clients over the past 9 years, we are a very well known company in the United Kingdom and Europe as well,if you are not satisfied with our terms we can sell it to someone else, we have plenty inquiries for it. Once we have all these our financial department will start making the Proforma Invoice and Sale Contract, and will be emailed to you so we can move forward with our transaction. The next step will be to follow the Instructions from the Sale Contract and the make the payment in our Bank Account. As soon as we receive the payment confirmation and the Sale Contract signed, we will start the delivery process. We are awaiting your confirmation. 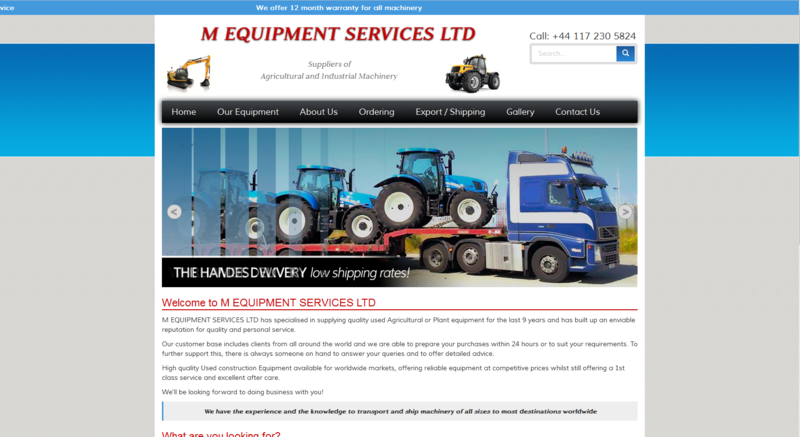 M EQUIPMENT SERVICES LTD has a long history of almost 9 years within the industry of Agricultural and Plant machinery.